Bust out the Italo and pull out your pasta makers! Aziz Ansari’s Netflix project Master of None is back for season two, exploring the difficulties of love and relationships in 2017. The show continues with storytelling inspired by Aziz’s Modern Romance research project, a book we loved so much that we invited co-author Eric Klinenberg to #MbirdNYC16. Sadly, book deals prevented us from sharing the recording, so just trust me when I report that it was one of the best (funniest? most poignant?) talks at an Mbird gathering from someone “outside” the fold. Season one, united by the theme of “fear of missing out,” left us with a cliffhanger. Lovers Dev and Rachel parted ways, she to Tokyo and he to Modena, Italy. Season two opens with apprentice Dev learning the art of pasta, with new Italian friends, and wounds still open from his breakup with Rachel. Throughout the season, Dev navigates complications between family, religion, ex-lovers, and career, but the driving story of the series is the romantic connection Dev develops with Italian friend Francesca. Spoilers ahead. If season one was a story of #FOMO, season two of Master of None is the story of “‘old way’ versus the ‘new way. '” At the outset, Dev’s insistence on traveling to Modena and taking a pasta apprenticeship is his total buy-in to the “old way” of Italian cuisine: hand rolled pasta, small kitchens, from-scratch ingredients. But this commitment to the “old way” of Italia is contrasted by his new job as a game show host for a knockoff of Cupcake Wars, a distinctly “new way” of being a foodie. In an ambitious episode about Islam and pork, Dev fakes religious dietary observance when his extended family comes to town. Dev comes off as disrespectful, clearly not recognizing how much the “old way” meant to his parents, while his parents’ faith is seen by Dev’s “new way” as inconsistent for embracing only parts of Islam with full sincerity. Along the way, Dev’s friend Brian gives his single father dating advice, the “new way” coaching the “old way”, and Dev’s friend Arnold is forced to let go of an ex who traded him for a “new Arnold.” Other episodes feature Burundian immigrants struggling to fit in the “new way” of New York, a rotation of Tinder matches and the mixed results that accompany this “new way” of dating, and a career crisis made worse by twitter’s “new way” of online public shaming. The new and the old is a conflict of real depth and importance for children of immigrants, and Aziz is adept at translating that conflict for viewers of all stripes. Viewers may point to the concluding shot of the season as its most consequential: it ends with a brief shot of Dev and Francesca in bed, under the covers, with her engagement ring missing from her left hand, and all the emotional joy of the final bus scene from The Graduate. For my money, the most consequential shot of the season comes a few minutes earlier when Dev runs into Rachel, back from Tokyo. In that moment of reconnection, Dev, absolutely tortured by their relationship back in episode one, has zero interest. He’s so focused on his falling out with Francesca (as well as his career troubles) that the wounds of the past are of little consequence. It’s a shocking turn for viewers. Dev has recovered from season one’s heartbreak, but that attention has only switched objects of affection, not gone away. We realize that perhaps Dev’s great flaw is expecting romantic fulfillment to bring about the purpose and meaning he’s been searching for in career, food, and family. Master of None highlights its main theme through its absence: there’s a missing piece to the puzzle that adds an important touch of bittersweet to an otherwise delightful comedy. For Dev, the titular Master of None, neither the old way or the new way are guaranteed to work in the search for meaning and love. The show presents Dev with multiple life-defining choices, and in Dev’s world, if he chooses wrongly, it will screw up his life. The “old way” of life has a number of flaws that make it unacceptable, and the “new way” of life is untested and unreliable. There seems to be a lesson somewhere in the early 30’s — and maybe I’m just projecting — that love and purpose are gifts, not wages. That’s a big part of why neither the “new way” nor the “old way” of life will bring Dev any fulfillment. Master of None, from this angle, is a millennial-retelling of the rich young ruler. As the rich young ruler approaches Jesus for the secret to eternal life, he leans on his resume (all these commands I have kept since my youth!) as if it was a thing to be earned. Substitute love and meaning for eternal life, and you have Dev. He’s witty on Tinder, excellent in the kitchen, politically correct to a T, killing it on his TV show, handsome, a good son — this is the paragon of a successful New York life! So why isn’t he satisfied? What’s missing that he can’t figure out? Will he ever find romantic and career fulfillment? These are the questions that the show leaves unanswered, questions that the show also asks of its viewers. Will these things bring fulfillment to you? Do they bring fulfillment to anybody? It’s heavy stuff for a comedy, but don’t let that scare you away! Jesus, before trashing the rich young ruler’s resume, looked at him with love, and it’s easy to love Dev’s adorkable hipster personality the same way. A few final tips: definitely set aside time for episode 3, “Religion,” and make sure you watch on a bright screen — very important plot points take place via text message, and the show (for better and worse) lets you watch that develop on the phone screen, with little extra exposition. And, though he is Master of None, Dev comes close to mastering Italian cooking, so don’t watch the show on an empty stomach. 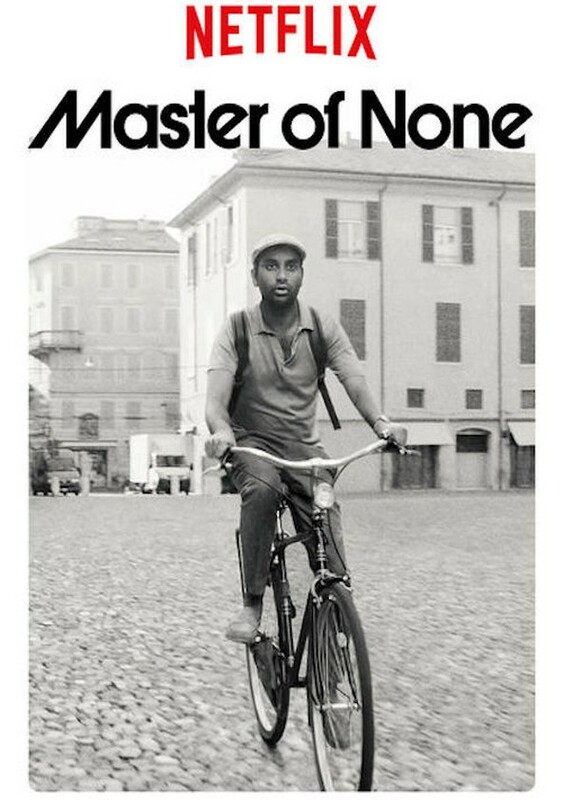 Here’s hoping that season three of Master of None is as deep a well as the first two!